Dubai: The General Department of Airports Security at Dubai Police has handed over 2,272 pieces of seized ivory, weighing 1,346kg, to the Ministry of Environment and Water for destruction. 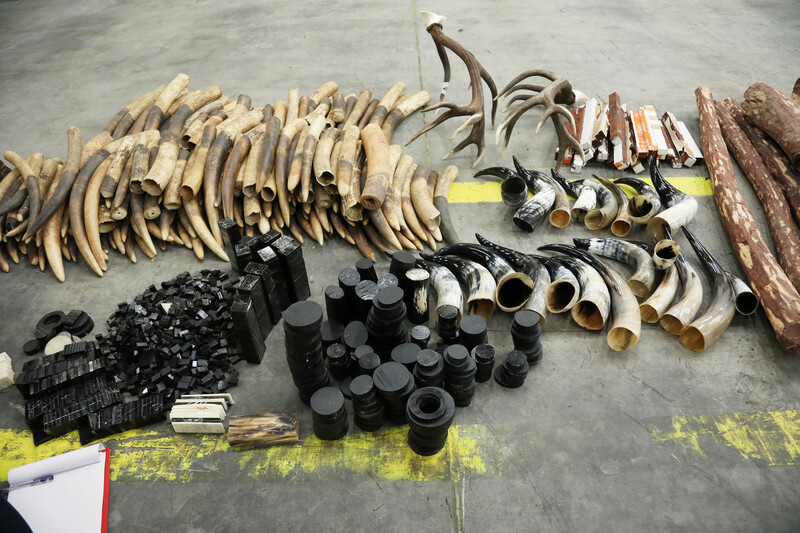 The ivory was intercepted while being smuggled through Dubai Airports over the past few months. 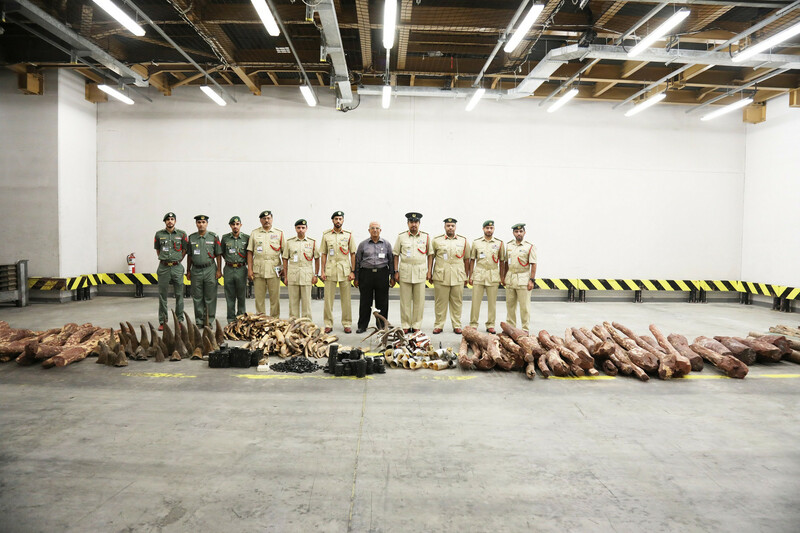 Colonel Muhammad Ahmad Bin Delan, Deputy Director of Airports Security, said the seized ivory shipments included elephant, gazelle and rhino horns. “Dubai Police are well trained and can foil any attempt to smuggle forbidden materials,” Bin Delan said. “Dubai is at the crossroads of Asia and Africa and we have the ability to detect smuggling attempts. We focus on transit points to ensure ivory is not smuggled,” he added. He said the UAE has been an active member of the Convention on International Trade in Endangered Species of Wild Fauna and Flora (CITES) agreement, since getting on board in 1990. Dubai Police, he added, are keen to implement the agreement’s provisions to protect the environment and fight illegal trade in ivory and other banned items. According to the UAE law, those smuggling endangered animals, ivory or any other parts of the animals face heavy fines and/or a jail term, depending on the case. The wildlife protection laws forbid the transport of ivory across international borders. But despite the best efforts of the authorities, ivory trade remains rampant. Just last year, Dubai Customs and Dubai Police intercepted 1,849 pieces of ivory at Dubai International Airport in July, with the shipment, hidden in boxes, coming from an undisclosed African country. The pieces were painted in black and hidden in boxes with shoe tags, but the Dubai Police were able to detect the camaflouged items when they were passing through the transit area for onward transfer to an Asian country. Wild elephants number less than 500,000 worldwide, yet 10 per cent of them are estimated to be killed by poachers every year. In 2015, the UAE Ministry of Environment and Water, in collaboration with the Dubai Municipality, destroyed more than 10 tonnes of illegal ivory. The ivory was seized over the years from smugglers at the UAE borders. The ivory destruction was the first in the GCC and Middle East and was aimed at combating illegal trade of wildlife products and addressing the challenges that threaten survival of elephants. The ivory seized and confiscated in collaboration with the different customs points in the country and the Ministry of Interior, reflected the UAE’s efforts in fighting illicit trafficking in ivory and wildlife and demonstrated zero tolerance for any form of such illegal shipments across the UAE border.